Médecin : Responsable (substitute), Institut Maïeutique, Lausanne – Psychiatric Day Hospital. Longstanding teacher of psychiatric approachs for Prison Staff – Swiss Federal Programme. Engaged in the use of medical hypnosis since 1983: founding group « hypnonautes » Lausanne. Trained by Deborah Ross – 1983-1985. Advanced training since. AFC in hypnosis – 2000. Member – Secretary – President - ‘Groupement des Psychiatres et Psychothérapeutes Vaudois’. Member of SMSH 1998 – Committee 2011, responsable for international relations, ethics and contact in Romandie, CH-Hypnose – editing staff. Speciality : age regression hypnotherapy, Four Squares Technique. To promote hypnosis he collaborates and employs psychologists-Internist-and GP. I am really interested in participating more actively in the ESH Board. My motivations are primarily that I trust that hypnosis is an important technique to create positive changes and promote healing in patients. I am convinced that hypnosis should continue to be spread to health professionals around Europe. 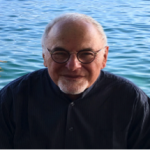 My long experience in Switzerland in hypnosis and psychotherapy, but also in training and supervising professionals in the field, gives me a good overview of the needs and opportunities coming up in these next years. My interest and experiences in international settings (I taught and presented in France, England, China, Turkey, Germany and Italy these last years) could be useful to the ESH Board. My experience as a Board Member of my national Society showed me that I have pleasure in discussing different topics, bringing people together and finding constructive compromises. I believe that my skills and experiences in organising multi-lingual conferences like the ESH Congress in 2020, including the financial aspects and budget discussions could be useful in the position of Treasurer. I would like to contribute to the ESH’s implementation and growth, and particularly in new countries. I believe in teamwork, respecting the others point of view and have strong values that I believe in: honesty and trust. I am known as a loyal and dependable person. I’ll be happy to bring to the Board and to the ESH a “Swiss touch” of mutual respect and goodwill.